Fact: Thompson is one of the few players in the English League to win trophies at all domestic and European competitions. 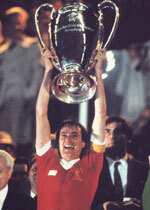 Phil Thompson won everything in the game as a player and is a true Liverpool legend. As a player and a former captain at Anfield Thompson won won seven league titles, two European Cups, two League Cups, a UEFA Cup and an FA Cup during his career. In 1981 he lifted the European Cup as captain when Liverpool beat Real Madrid 1-0 in Paris, one of his proudest ever moments in football. He made his Liverpool debut in 1971 when the great Bill Shankly gave him his break and Reds fans knew he was a class act when he gave an outstanding display in the 1974 FA Cup Final when Liverpool beat Newcastle 3-0. After 477 appearances for the club he left Anfield for a spell at Sheffield United in 1985 Thompson was brought back to the club a year later by Kenny Dalglish and appointed reserve team manager. Thompson won numerous reserve league titles with the reserves and when Dalglish left the club in 1991 even had a spell as first team coach before Graeme Souness was appointed Liverpool manager. A personality clash between the pair meant Thompson's Anfield days were numbered under Souness and he left the club in controversial circumstances in 1992 when he was replaced as reserve boss by Sammy Lee. After a spell as a TV pundit for Sky Sports Thompson returned to Anfield as assistant manager to Gerard Houllier in 1998. He helped shape the defence into having the best defensive record in the Premiership which laid the foundations for the treble season. Thompson also had a spell in charge of the first team in October 2001 when Gerard Houllier had to undergo major heart surgery and did very well. Under Thompson Liverpool found some real consistency getting to second in the Premiership and the quarter-finals of the Champions League, before returning to assistant when Houllier returned. When new manager Rafael Benitez was appointed as Liverpool manager in June 2004 Thompson wasn't part of his plans and left the club, but one thing is for sure Liverpool will never leave Thommo. The statistics of matches and goals at the top is included in the table by the conducted player of a reserve in a seasons 1970-71, 1971-72, 1972-73, 1973-74, 1974-75, 1977-78 not completely. 1978 v Republic of Ireland (sub), Czechoslovakia; 1979 v Northern Ireland, Scotland, Bulgaria, Austria, Denmark, Northern Ireland, Bulgaria; 1980 v Republic of Ireland, Spain, Argentina, Wales, Scotland, Belgium, Italy, Spain, Norway, Romania; 1981 v Hungary, Norway, Hungary; 1982 v Wales, Holland, Scotland, Finland, France, Czechoslovakia, Kuwait, West Germany, Spain, West Germany, Greece (41). 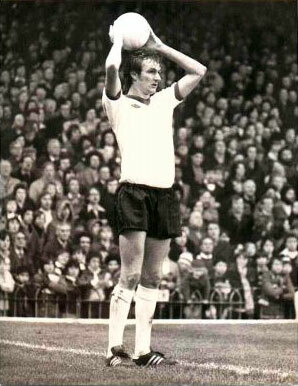 He is listed in Complete record as having made 2 starts and 1 sub appearance in the European cup in the 1973/74 season in his totals and therefore boasting 47 European games. In the same book he is not listed with a substitute appearance in the European cup that season, the only possibilities being the matches on 03.10.73 or 24.10.73. Liverpool in Europe (published 2001 by Steven Hale & Ivan Ponting) states he came on as substitute for Lawler against Jeunesse Esch on 03.10.1973. Liverpool in Europe, a book by the same name by Stephen F Kelly, published 1992, substantiates that. Assistant manager Phil Thompson won everything in the game as a player with the Reds and now he is hoping to help the modern day Liverpool team repeat his triumphs of years ago. Having won seven league titles, two European Cups, two League Cups, a UEFA Cup and an FA Cup during his playing career Thompson understands the history and traditions of Liverpool Football Club better than anyone else and is a dyed in the wool Liverpudlian. After leaving Liverpool in 1984 Thommo had a brief spell with Sheffield United before hanging up his boots and concentrating on his business interests. He wasn't out of the game for long. In July 1986 Kenny Dalglish brought him back to the club as reserve team coach, in succession to Chris Lawler. It was a position he held until 1992 and he then kept involved with the game through his highly successful media work for Sky TV and as a magazine columnist for the now defunct XTRA Time. When offered the position of number two to Gerard Houllier, after the Frenchman took sole control as manager Thompson jumped at the chance to once again work at the club he loves so much and his appointment in 1998 was widely acclaimed by Liverpudlians. Barking his orders from the touchline, Thompson has played an instrumental role in Liverpool's vast improvement but he won't be happy until the present team have emulated, if not bettered, his achievements as a player with the club. With Gerard Houllier recovering from heart surgery just after the start of the 2001-2002 season, Thompson was put in charge of first team duties until Houllier was fit to return. Thompson did a great job and masterminded the club's first ever European win in Kiev and held the managerial reigns very smoothly before resuming his duties as assistant when Houllier returned in March 2002.